Here we are celebrating Coconut’s house warming. J [We’ll discuss her dog house another day. Must have more pictures.] What better way to celebrate your friend than by wearing a best friend outfit? In this case, Coconut’s Best Friend Outfit. The funny thing, when you read the wikia page or even the agplaythings website about this outfit they talk about a fuzzy, pink, ponytail holder. I didn't get one with this outfit; I got a blue claw clip bedazzled with rhinestones. [I’ll add a specific picture of that tomorrow.] It is in the picture…my hair is pulled back in it. Let’s start with the super cute denim jacket. Quite versatile; can be used as a jacket or as a layering piece. Here it is a layering piece completing the look. Underneath is a light blue, graphic tee shirt featuring Coconut (of course). Both top khaki, cargo, Capri pants. The final touches include dark denim, floral sandals; light blue, claw clip; and fun watch. This picture shows a close up of the tee shirt. 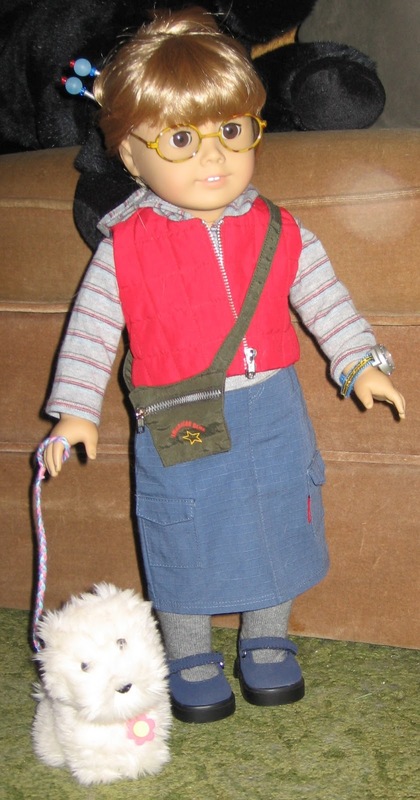 Coconut's Best Friend Outfit was introduced in 2003 and retired in 2005. I really love animals. Coconut was the first and there are many in my furry family. Each will get a turn in the spotlight. Here Coconut sits proudly in front of her new doghouse with her leash on ready for a walk. We take leisurely walks two or three times a day, depending upon the weather. Sometimes it is harder than others, but dogs need to be exercised and allowed to use the “bathroom” to avoid accidents and unwanted behavior. Walks are good for us too; they count toward our exercise for the day. What types of things do you do for exercise? I started reorganizing my closet, planning future posts, and came across some nifty things to share. Back in 2009, when American Girl was unveiling Rebecca, AG sponsored the girl toy in McDonald’s Happy Meals (& Mighty Kids’ Meals). 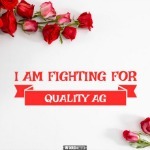 Not figures, but something like the AG Historical Girl Treasure Totes. I collected 4 (5 total; one duplicate). Julie (2), Kirsten, Kit, & Molly. Each little book is tied with a gossamer ribbon. However, getting the ribbon retied is as difficult as re-looping Kirsten’s braids, so I only opened Julie. If you really want to see the contents of the others, I’ll open them. Just let me know. The back and front boards are connected with an accordion house backdrop. On one side is Julie’s street (If this is not her street, please feel free to correct me; I have not read her books yet.) and on the other side is her kitchen. Attached to the front board is a book that includes an excerpt from Julie’s “Meet” story, instructions on how to fold and use the cootie catcher, a maze, a matching game, How to Draw Nutmeg instructions, and 3 trivia questions. The back board has a pocket holding a pre-made cootie catcher, stickers, and 4 paper dolls. Cootie catcher corner words: Groovy, Boss, Far Out, and Cool. The paper dolls show Julie and Ivy in their “Meet” outfits and their “New Year’s” outfits, Nutmeg, and Julie’s record player and records. The stickers show: Jiffy Pop popcorn, a basket of carrots, a Lava lamp, Tupperware pitcher & tumblers (cups), school lunch, China doll, and money in a Chinese envelope. Oh, my…5 days have passed since my last post. Please forgive me. Saturday was a Fawkes* day. 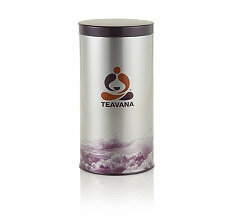 We reached all the way up to the top shelf for the Teavana Phoenix Mountain Dan Cong Oolong tea tin. It’s loose leaf tea so we also got out the glass tea pot to watch the leaves dance. This blend you can re-steep; the second and third cups are still really good; the fourth…starts to get weak. One more tea item before heading to the wardrobe. Xyra found a great magazine called Tea Time. It’s a bi-monthly magazine (like American Girl magazine) based in Birmingham, Alabama with a subscription office in Harlan, Iowa! I can’t directly reprint any of the recipes due to copyright laws, but I can point you to the website http://teatimemagazine.com/ Check out the recipe for Mini Pound Cakes with Raspberry Jam…they are made using a brownie pan like this one. Now away to the wardrobe! Hmmm, skirt or pants…it’s still chilly out so let’s look at another layered piece. The Go Anywhere Outfit works quite nicely. 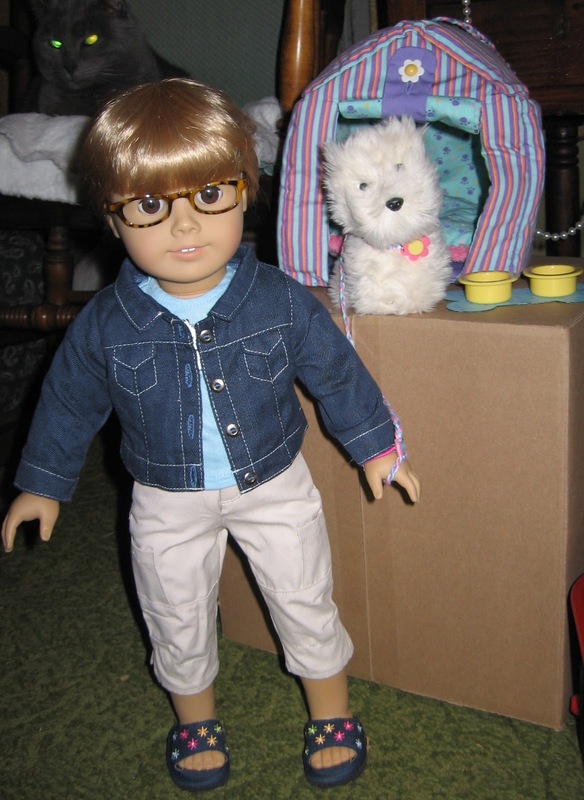 Initially introduced as the American Girl of Today meet outfit in 2002, you could get it with a doll or separately until 2004. It’s quite lovely and toasty. Though I can’t find any documentation…I believe if you bought the outfit separately you did not automatically get the boots. Why would I say this? Because I know I don’t have short, dark purple, zipper boots anywhere in my closet. J However, the boots from the Mod Outfit work quite well here. Don’t you think? I love this outfit! It comes with a purple cardigan—soft & comfy—that has embroidery on the sleeves and a ribbon closure (I don’t usually tie it); a cream, cap-sleeved, mock turtleneck tee shirt decorated with sequin flowers; an olive green tweed skirt with ruffled hem; and lavender tights. The whole thing matches perfectly with my lilac glasses. I got the outfit before the glasses…the lilac glasses (in the metal frame version) were released in 2004. These are great…the purple accentuates brown eyes. My eyesight may not be perfect, but my glasses are a great accessory. My prescription doesn't change by much so I can wear the different styles without sacrificing clarity. However, if yours does change significantly be sure to choose a pair that reflects your personality and style best then stick with it. How are you doing with the challenge? I’m looking forward to hearing your selections and modeling your outfits. * Fawkes is the name of Prof. Albus Dumbledore’s phoenix in the Harry Potter book/movie series. Nothing special tea wise to talk about today. My morning cup was the Zhena Gypsy Tea Coconut Chai Green Tea. I wanted something slightly tropical to make me think warm thoughts. It did the job, but also made me think I could use a winter coat in my wardrobe. The northern part of the country is REALLY cold right now. I hope that anyone within reach of the Arctic air is finding a way to stay safe and warm. Come south to Pennsylvania; we are still cold, but 12 will feel a lot better than -35. “Cold Miser” is having a great time right now. So let’s think more like “Heat Miser.” Of course, if you are reading from Australia and in the 111 degree areas you may be trying to think cool thoughts right now. That being said, let’s compromise and review a spring outfit. 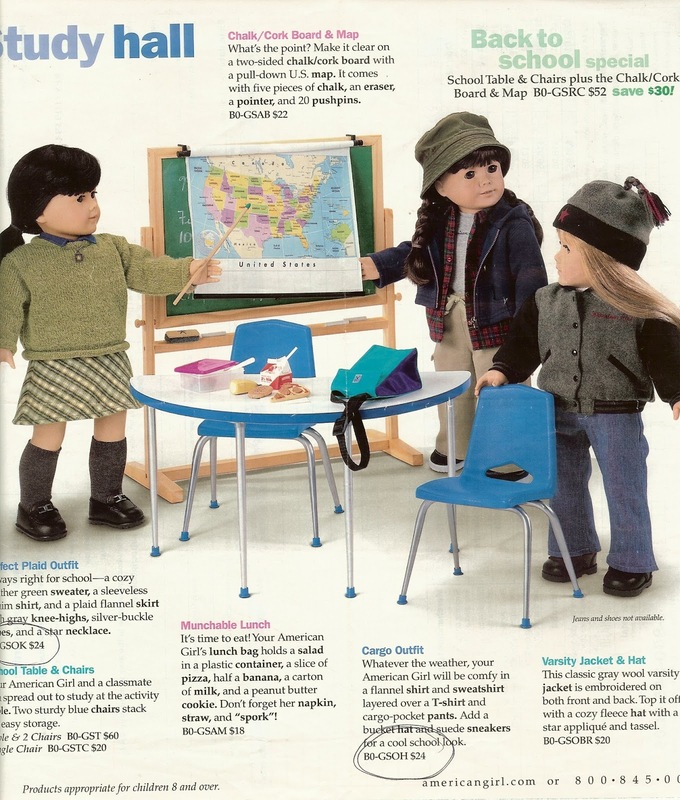 In 1998 American Girl introduced the Play Outfit. It was available until 2000 when it was retired. Another fabulous outfit with many interchangeable pieces that embrace the idea of light layers. 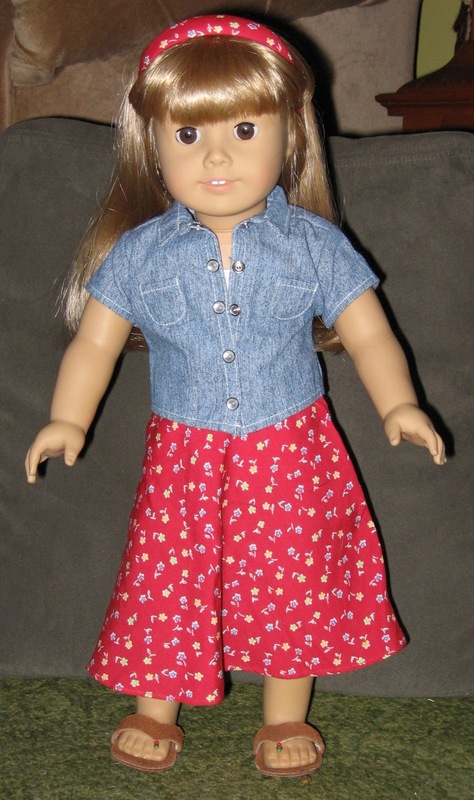 The play outfit includes an A-line, circle skirt in a red floral print. The hem falls to mid-calf. The material is so lightweight it twirls…you know, when you spin the hem flares out a bit. Love that! Topping the skirt is a white, cotton tank top under a short-sleeved denim shirt. The denim shirt has pearly snaps that work so you can wear it open or closed. Finishing off the outfit are a pair of brown suede sandals and a headband that matches the skirt. Very cute! Here I am modeling the Play Outfit with the denim shirt closed halfway. These early outfits focused on mixing and matching. The outer items were cut just a bit larger to allow for layering. I won’t be digging this one out for a few more months. Kaya, Lanie, Kirsten, and I have been talking about finding our blankets to snuggle under. Kaya got her bedroll just this past Christmas. The buffalo and elk hides are big enough cover two of our laps. Stay warm everyone (or cool depending on where you are). Raising a nice hot cuppa tea to you. Major Tea Mistake This Morning! Some teas are packaged as sachets or bags only without the helpful tag or being individually wrapped. Trader Joe’s Irish Breakfast comes in a big box this way. Celestial Seasonings does too. Well, I found a tin with unmarked tea bags in it and thought it smelled good so threw one in my cup, filled it with hot water, slapped the lid on, and headed out the door. 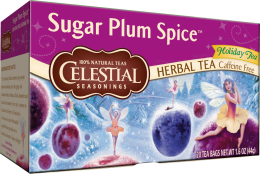 Turns out it was Celestial Seasonings Sugar Plum tea. [A rich herbal blend with the festive flavors of ripe purple plums and spices.] It’s a great tea and does not curdle the milk as some fruit teas do; however, it is not one you want to over steep. [Brewing instructions: Pour freshly boiled water over one tea bag. Steep 3 to 5 minutes and remove tea bag. If desired, add milk and sweetener to taste.] It gets very strong and very bitter. So first lesson of the day…if you remove tea from a box to another storage container, be sure to mark the new container. On the upside, sharing this mistake with you helped me find another great tea site! Yesterday I found a fabulous blog while looking for some neat tea information to share about my favorite blend. So what is my favorite blend? Why is it called Earl Grey? Let’s start with who is Earl Grey? 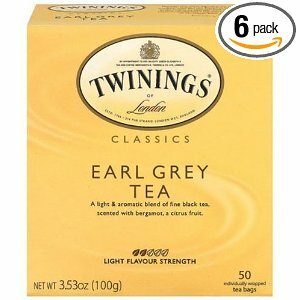 Which Earl Grey is THE Earl Grey tea named after? How did the tea get the name? Legend has it that the Earl was given a gift of bergamot tea from a Chinese mandarin or an Indian raja with whom he was friends in gratitude for Grey’s role in saving the friend's (or friend's son's) life. Supposedly, when he started running low he commissioned a local tea maker to reproduce the recipe. My thought is that it became known in the shop as “Earl Grey’s tea” among the workers, so the name stuck. You know, the Earl’s house keeper or butler or other servant would be running errands and stop to pick up “Earl Grey’s Tea” from the shop and the clerk would find the tin marked EG, etc. That's all for today. This is a long one. I hope you enjoyed it. We'll go back to the wardrobe tomorrow. How are your designs coming? It’s good to see you. I hope you are enjoying Martin Luther King Jr. Day. Today is a national day of service so your first challenge is to do something to help (or serve) another without them having to ask. Something as easy as putting your laundry away or cleaning your room. Perhaps something more difficult like cleaning up after your sleepover or helping your neighbor shovel snow. Your choice. What kind of tea are you having today? I had TAZO Awake-English Breakfast tea today. This is a blend of black teas with a “malty boldness & bright flavor.” Even though it has breakfast in the name you can drink this all day long. Yes, I take this with 1 sugar and a splash of milk. Don’t forget, put your sugar and milk and teabag into your cup before the water. When you add the water it stirs everything up quite nicely. Post your design in the comments section and I will try it on. Xyra will take a picture of me wearing it and I’ll post in a future blog entry. You have 1 dress, 2 pairs of pants, 2 jumpers, 3 outwear pieces, 4 skirts, 8 pairs of shoes, and 9 tops with which to work. I’m not sure if my math is correct on this or not, but it seems that just by mixing up the tops and skirts will give 36 new outfits. While you think and design, I’ll sip another cup of TAZO Awake-English Breakfast Or…it’s cold enough, perhaps some hot chocolate. OH. MY. GOSH! I love my new outfit! The sweater SPARKLES and is cuddly. Usually sparkly yarn can be itchy. As I feared, the outfit is a bit snug as my body has a slightly different shape than the AG dolls sold now, but not bad at all. Comfortable even. Definitely can’t wear socks with these boots. I started noticing this in 2005 with the Sightseeing Outfit. The skirt was a little tight and shorter on me than in the catalog. Still looks mighty fine. :) I think the colors are nice on me. The boots are big enough to wear with and without tight, just be careful putting them on so the closure doesn't snag your tights. In this picture I'm modeling the Sightseeing outfit with Coconut in her carrier and my rolling suitcase with removable backpack. Felicity rides well in the front. In 2008, we sent the school Days Outfit back twice and finally exchanged it for another. I couldn’t get the pants on at all! It was horrible. So I stick with the dresses and skirt outfits. They might end up a little shorter on me but they still look nice. Most times I can wear a pair of tights to keep the outfit modest. I bet you’ve noticed in my earlier photos I’m standing on my own. Those days were great, but my joints are a little too loose for that now. I don’t mind using the stand; it’s a great assist. I know I could go to the doll hospital or Xyra could try the operation herself, but she almost passed out watching the YouTube instructions and, honestly, the thought of having my head removed and stuffing taken out…*shudders* I’m quite happy as I am. That’s all for today. It’s going to be a busy weekend again, so check back Monday for more. Have a great weekend! It’s been a terrible day! No time to do anything I really wanted to do, but that’s how it goes sometimes. At least I could squeeze in t a few moments to write to you. Instead of heading right back to my closet and wardrobe lets chat books. I LOVE to read! You saw some of my magazines and my favorite book earlier—that was just the tip of the iceberg! I’m not always fond of the books or stories we read in school, but I understand that others may love them so I try to read with an open mind and learn as much about the story or writing process as possible. Yes, English, Reading, and Language Arts are my favorite classes in school followed closely by Social Studies and History. We are supposed to read 45 minutes a day outside of school. That’s easy for me! I read all levels of books. Sometimes I read more advanced books like the Harry Potter series and sometimes I read easy books like The Magic Kitten series or picture books like Stellaluna. Searching for and getting books is great. I like to put them on my Christmas and birthday wish lists. Hanging out at the library and bookstores is so much fun. Barnes & noble is my favorite, but independent bookstores like Harleysville Books (http://www.harleysvillebooks.com/) sponsor great programs. They have an American Girl Club event coming up January 18. 1. Visit the library! Your school library and the local library are great sources for reading material. Browsing through the stacks is great when you have time to absorb the library atmosphere. But if you don’t have much time and know what you are looking for search the online catalog for the title or author. 2. Find a used book store. These have great prices, but can be hit or miss as their stock relies on people giving up their books. Most have great exchange programs too. So you can turn in your books for credit toward others. You can find older versions of the American Girl books at these. 3. Flea markets and yard sales. Most of these have cheaper pricing than even the used book stores. However, condition is sometimes an issue. 4. Borrow from a friend. This can get tricky. When you borrow from a friend you should give it back in the same condition in which it was given to you. Above all you MUST return it. Losing or marking a friend’s book can strain a friendship. So if you usually dog-ear your pages to mark your spot and she doesn’t…find a nice piece of scrap paper to use as a bookmark instead. 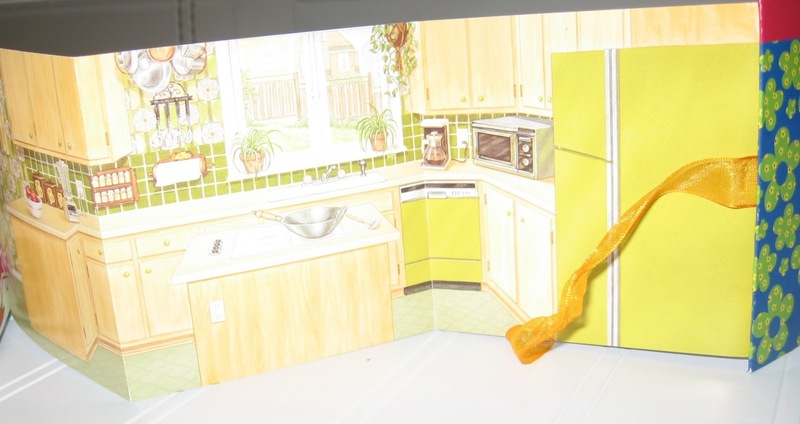 A sticky note or a tear out card from a magazine works in a pinch. 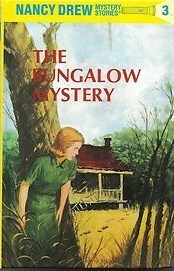 One of my favorite series (aside from Harry Potter) is Nancy Drew by Carolyn Keene. ( I also love the Hardy Boys by Frank W. Dixon.) The best are the old yellow (or blue) hard bound books. It’s so interesting to see how Nancy and her friends solved mysteries without the aide of modern technology. This was very good. No George, Bess, or Ned in this one, but Don was quite attentive to Nancy. Nancy's quick thinking came to her rescue. It showed what had to be done to stay connected before cell phones. :) I loved how polite and trusting everyone was! Please forgive yesterday's picture. Xyra was disappointed with how it turned out, but didn't have time to fix it. She’s looking to find something to help in the future. Most of our outfit pictures are great, but sometimes…well, lighting can be tricky. Sunday was filled with party preparations. We found a really cute tea set at Walmart; their “My Life” line. It was on sale too! Only $4.50. Pink and lavender tea service: tea pot, creamer, sugar bowl with two cups, saucers, plates, spoons, and napkins. Very cute. You already saw my party guests Kaya, Kirsten, and Lanie! Party day yesterday! Kirsten supplied cookies, as well as ring bologna and cheese. Kaya provided some smoked salmon, fruit, and finger cakes. Xyra did the baking…chocolate cake with pink, cream cheese icing. A grand feast! We used Kirsten's kettle for heating the water and poured out from the pink tea pot. What fun?! Laughing, talking, playing games, and eating! Lanie showed us new pictures of plants she wants to add to her garden this spring. Coco joined us with her tennis ball bone toy. Tatlo was there too, but shied away from the camera. My favorite gift was the new Soft-as-Snow Outfit! No earmuffs, but that’s okay. I can’t wait to try it on. It’s stretchy so should fit well. The new jeans outfits fit Lanie better. Everyone is wearing outfits they got for Christmas. Kaya has on the Real Me Outfit (retired 2012); she looks great in lavender. Kirsten is wearing an original creation found at our local Ace store in the gifts section. The dark green and black pattern are a bit like the dress Alice Cullen gives Bella Swan in New Moon. We need to find Kirsten hair ribbons for this one. Lanie is also wearing an original creation. A butterfly jumper over bright yellow blouse. Xyra's mom found this one at the Sandwich Fair in Illinois. Kaya and Kirsten joined the family in 2009 and Lanie in 2010. I’ll have more about their arrivals later. As well as all the furry members of our family. More tomorrow! Have a great day and night! It's my birthday! January 14, such a great day. Both Xyra and I got a new outfit and had fun with friends and family. I'll post more about it tomorrow. Right now I'm tired and need to get to bed. Hi! I’m glad you could stop by. Today’s teas, both morning and afternoon, are a bit more exotic. The day started with a cup of Kusmi Russian Morning #24 tea. This one takes some prepping. It’s loose tea (not in a bag like Lipton), so 1 teaspoon of dried leaves goes into a small, clear, glass teapot; I add water; and watch the leaves dance for 3 – 5 minutes (check out the picture below). Then pour out into a cup with 1 sugar and a splash of milk. This morning I used Sugar in the Raw; it adds another note to the overall flavor. This afternoon is Revolution Pomegranate White Tea. White tea is the bud from the tea plant not the leaf. It is delicate so you want water that is hot, but not boiling. Steep 2 to 3 minutes, remove the bag, and drink. While I usually like one sugar and a splash of milk in my tea, fruit teas are completely different. Those I drink unsweetened or with ½ tsp sugar. I learned the hard way that the citric acid curdles the milk. Ewww! How do you like to take your tea? Is your tea ready? Grab your cup and let’s talk about another outfit among other things. Be careful you don’t burn your tongue. That’s the WORST! My next outfit was the Cargo Outfit. So many ways to wear this one! It’s perfect for a cool day because as the day warms up you can take off layers. 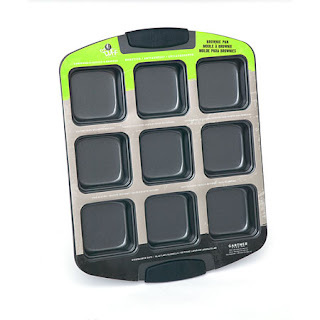 Here’s what it looked like in the catalog. The khaki cargo pants are paired with a grey, short-sleeve tee shirt; red, plaid, flannel shirt; navy blue hoodie; olive bucket hat; and sturdy dark blue sneakers. I’m modeling here. Coconut and I like to go walking and hiking. She stays close to my side. Sometimes we will play in the yard or relax outside and read. I have quite a collection of American Girl magazines. One of my favorite books is Meet Felicity. The other day I mentioned that my box was black with a yellow top. The Girl of Today clothing and accessories came in similar boxes. Below are two. The green one was for my first Hair-do Helper kit (also pictured). The blue brought Coconut’s Dog House (I’m saving that for another post). As striking as the old boxes were, any box from American Girl is cause for excitement. Don’t you agree? Have a great afternoon and night! Talk to you again soon! Oops! I have my first correction to make. J The necklace I mentioned yesterday did not come with the Urban Outfit, but with the Mod Outfit (aka Red Vinyl Jumper Outfit). My apologies. 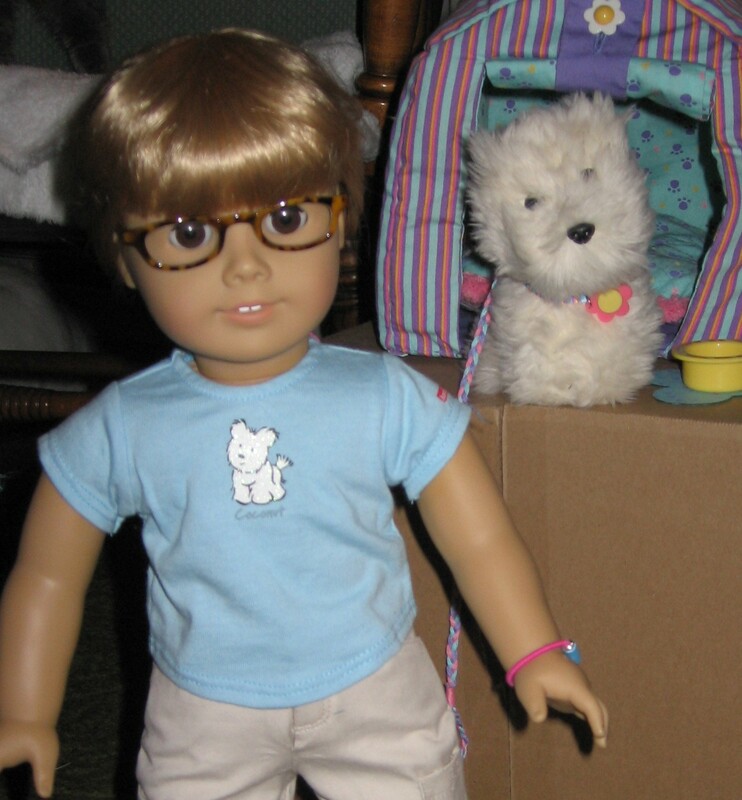 The 1998 American Girl of Today doll arrived clad in the Mod Outfit (stock code GMOD) and you could add the accessories (GMAD) to complete the outfit. After 1998 and until it was retired in 2001, you could buy it as an individual outfit. That’s how I got it…as a separate outfit. This was one of my first new outfits and the result of a good mistake. I asked for the Perfectly Plaid Outfit, but the person ordering (Xyra’s friend Franz*) got the codes mixed up. Talk about a surprise! This one is much more exciting than the other. It has a red vinyl jumper, black long-sleeved turtleneck shirt, patterned tights, black boots, black beret with plaid ribbon, matching scrunchie, and mini journal necklace. The best part is the silver, lunchbox style purse! I love it! I'm using it as a jewelry box now. This accessories also included a library card, money, lunch tickets, and a mini magazine. * Xyra is my human. She is helping me with the blog. Franz is her guy; he helps add to my collection. I’m glad you came to visit. Do you have your cup of tea ready? And maybe a few cookies? My morning started with a cup of Trader Joe’s Irish Breakfast Tea. That is a blend of Assam and Kenyan black teas. The bag steeped 5 minutes in boiling water. I prefer it with one sugar and a little bit of milk. Currently, I am lifting a cup of Benner’s Black Tea. It is your standard mix of Orange Pekoe and Pekoe Black teas. Prepared the same as the Irish Breakfast mentioned above. My name is Melody Quinn Silverleaf and, for all intents and purposes, I am 10 (or 12) years old. I have long, blonde hair and brown eyes and am 18 inches tall. Yes, I am an American Girl doll. Not just any American Girl and American Girl of Today. GT12E to be exact. Yes, I wear glasses most of the time. Here I am wearing my first pair, the oval glasses. My darling little Coconut arrived with me. She was such a sweet little West Highland Terrier. I say, “was” as, sadly, Coconut got lost and was never found. Coconut II has since joined the family, but I call her Coco instead. Coconut is in these early pictures. It's been a pleasure today. I hope you can drop by again in the future. Hi! Welcome to Tea Time with Melody Q. What will you find if you follow me? Well, I have been reading this great doll blog, Hanna's Hangout*, and it inspired me to start my own doll blog. So my plan is to share some fashion history, travel pictures, book and movie reviews as well as my adventures with you. So put the kettle on (with adult supervision, please) and raise a "cuppa" tea with me and my friends (Kaya, Kirsten, & Lanie). Ps. That's me in the profile picture.